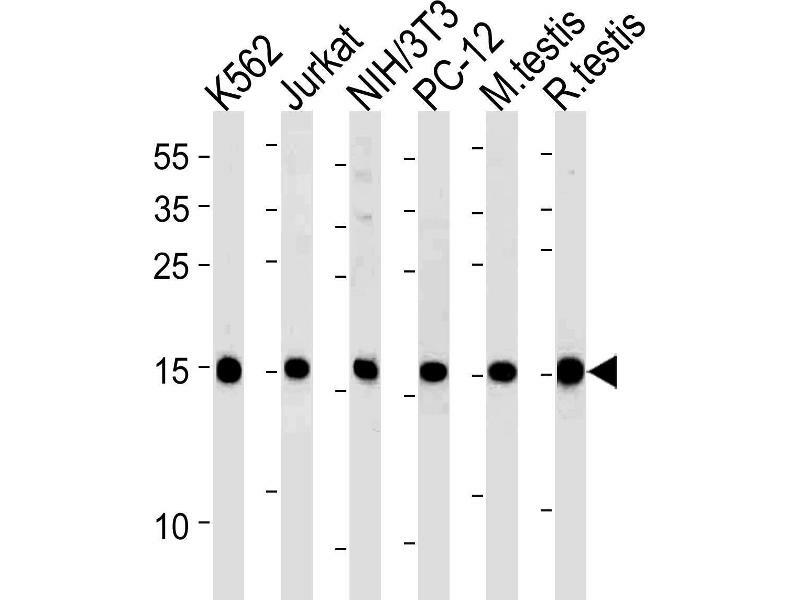 UBE2L3 Antibody (C-term) (ABIN1881966) western blot analysis in K562,U87-MG,mouse NIH/3T3,rat PC-12 cell line and mouse testis,rat testis tissue lysates (35 µg/lane). 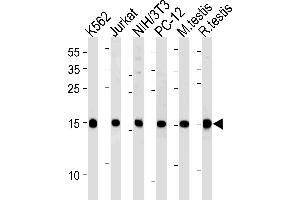 This demonstrates the UBE2L3 antibody detected the UBE2L3 protein (arrow). 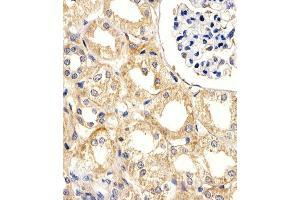 Immunohistochemical analysis of paraffin-embedded H.kidney section using UBE2L3 Antibody (C-term)(ABIN2838851). ABIN2838851 was diluted at 1:25 dilution. A peroxidase-conjugated goat anti-rabbit IgG at 1:400 dilution was used as the secondary antibody, followed by DAB staining. 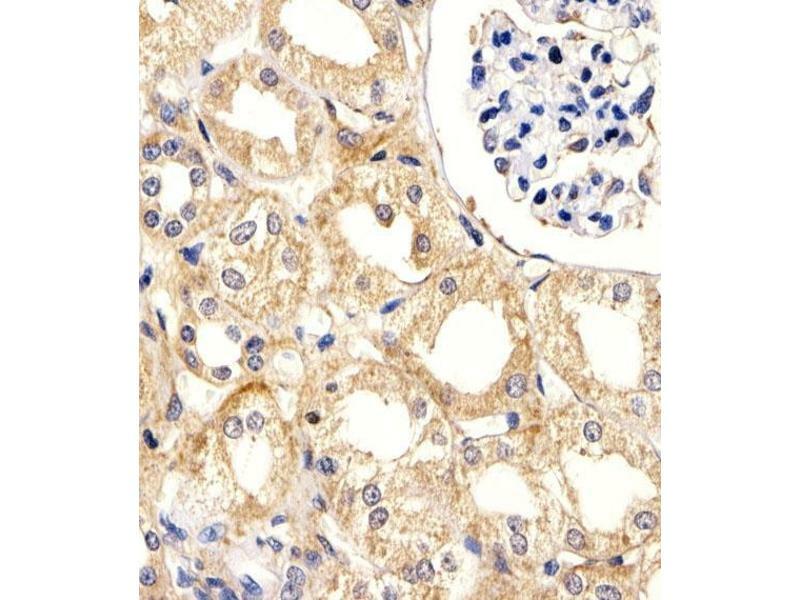 Immunogen This UBE2L3 antibody is generated from rabbits immunized with a KLH conjugated synthetic peptide between 106-135 amino acids from the C-terminal region of human UBE2L3. Background The modification of proteins with ubiquitin is an important cellular mechanism for targeting abnormal or short-lived proteins for degradation. Ubiquitination involves at least three classes of enzymes: ubiquitin-activating enzymes (E1s), ubiquitin-conjugating enzymes (E2s) and ubiquitin-protein ligases (E3s). This gene encodes a member of the E2 ubiquitin-conjugating enzyme family. This enzyme is demonstrated to participate in the ubiquitination of p53, c-Fos, and the NF-kB precursor p105 in vitro. Several alternatively spliced transcript variants have been found for this gene. Product cited in: Amidon, Hawley: "Oral bioperformance and 21st century dissolution." in: Molecular pharmaceutics, Vol. 7, Issue 5, pp. 1361, 2013 (PubMed). Fransen, Visschedijk, van Sommeren, Fu, Franke, Festen, Stokkers, van Bodegraven, Crusius, Hommes, Zanen, de Jong, Wijmenga, van Diemen, Weersma: "Analysis of SNPs with an effect on gene expression identifies UBE2L3 and BCL3 as potential new risk genes for Crohn's disease." in: Human molecular genetics, Vol. 19, Issue 17, pp. 3482-8, 2010 (PubMed). Dubois, Trynka, Franke, Hunt, Romanos, Curtotti, Zhernakova, Heap, Adány, Aromaa, Bardella, van den Berg, Bockett, de la Concha, Dema, Fehrmann, Fernández-Arquero, Fiatal, Grandone, Green, Groen et al. 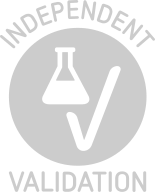 : "Multiple common variants for celiac disease influencing immune gene expression. ..." in: Nature genetics, Vol. 42, Issue 4, pp. 295-302, 2010 (PubMed). Kamatani, Matsuda, Okada, Kubo, Hosono, Daigo, Nakamura, Kamatani: "Genome-wide association study of hematological and biochemical traits in a Japanese population." in: Nature genetics, Vol. 42, Issue 3, pp. 210-5, 2010 (PubMed). Han, Zheng, Cui, Sun, Ye, Hu, Xu, Cai, Huang, Zhao, Xie, Fang, Lu, Xu, Li, Pan, Deng, Zeng, Ye, Zhang, Wang, Hao, Ma, Zuo, Zhou, Du, Cheng, Yang, Shen, Li, Sheng, Zuo, Zhu, Gao, Zhang, Guo, Li et al. : "Genome-wide association study in a Chinese Han population identifies nine new susceptibility loci for systemic lupus erythematosus...." in: Nature genetics, Vol. 41, Issue 11, pp. 1234-7, 2009 (PubMed).